Google has released the February Security Update for Android that patches multiple security vulnerabilities discovered in the latest version of Android operating system. In total, there were five “critical” security vulnerabilities fixed in the release along with four “high” severity and one merely “moderate” issues. A set of two critical vulnerabilities has been found in the Broadcom WiFi driverthat could be exploited by attackers to perform Remote Code Execution (RCE) on affected Android devices when connected to the same network as the attacker. The vulnerabilities (CVE-2016-0801 and CVE-2016-0802) can be exploited by sending specially crafted wireless control message packets that can corrupt kernel memory, potentially leading to remote code execution at the kernel level. Another set of two critical security vulnerabilities were discovered in Mediaserver that was targeted last summer by critical Stagefright vulnerabilities and exploits, allowing anyone to compromise an Android device by sending just a specially crafted MMS message. The recently discovered flaws (CVE-2016-0803 and CVE-2016-0804) in Mediaserver could enable remote code execution (RCE)on affected Android devices through email, web browsing, or MMS files when processing media files. Moreover, a separate vulnerability called elevation of privilege (CVE-2016-0810) was also discovered in Mediaserver that could be exploited to gain elevated capabilities, including Signature orSignatureOrSystem permissions privileges, that aren’t accessible to third-party apps. Two Elevation of Privilege vulnerabilities has also been found in Qualcomm components: the Qualcomm Performance Module (CVE-2016-0805) and theQualcomm Wi-Fi Driver (CVE-2016-0806). Both the flaws, rated as critical, leveraged an attacker to launch further attacks. Another critically rated bug (CVE-2016-0807) discovered in the Debuggerdcomponent could open the door to execute arbitrary code within the device’s root level. Debuggerd is a software tool used for debugging and analyzing Android crashes. The final set of vulnerabilities is anElevation of Privilege flaw in Setup Wizardthat could allow a hacker to bypass the Factory Reset Protection and gain access to the affected device. All the Security patches are currently made available for Nexus devices only. 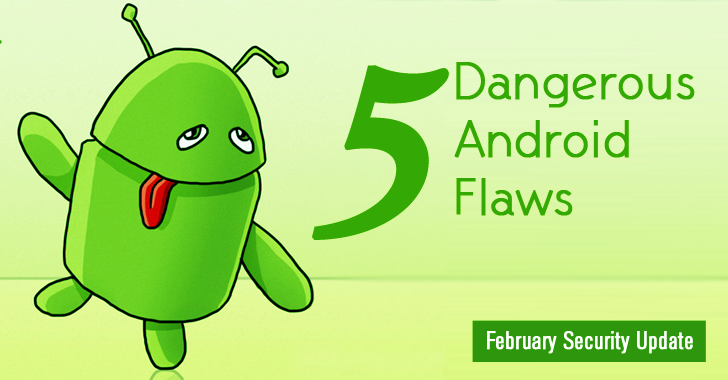 Google also shared the patches with carrier and manufacturer partners on January 4, but users of other Android devices should have to wait until their devices receive an update. Nexus device users are advised to patch the flaws by flashing their devices to this new build immediately. Users can also wait for the OTA (Over-the-Air) update that will be out in the next week or so.